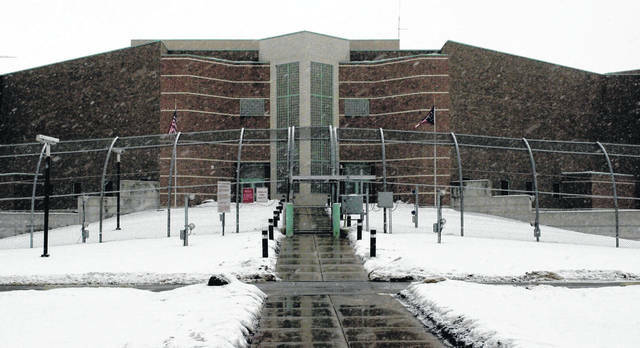 File- This Jan. 8, 2001. file photo shows the Ohio State Penitentiary (OSP) in Youngstown, Ohio. An inmate who stabbed four fellow prisoners and a guard in separate bloody attacks is on a hunger strike inside Ohio’s toughest prison, alleging mistreatment. Greg Reinke is housed at the state’s supermax prison in Youngstown. He says he’s being harassed by guards, denied proper recreation time and lives in a bare cell with no place to put his clothes. Sara French is a spokeswoman with the Department of Rehabilitation and Correction. She confirms Reinke has missed 14 meals as of Tuesday, April 16, 2019, meeting the agency’s definition of a hunger strike. French denied Reinke is being mistreated. COLUMBUS, Ohio (AP) — An inmate who stabbed four fellow prisoners and a guard in separate, bloody attacks that led to internal prison security changes is on a hunger strike inside Ohio’s toughest lock-up, alleging mistreatment.